Compassion is the foundation of all Yungdrung Bön teachings. Developing unbiased, unbounded compassion is one of the foundational and primary practices. When this quality is perfected and fully realized, it is known as Jang Chub Sem, the Mind of Enlightenment. To aid this development, the Yungdrung Bön teachings give seven progressive steps, or causes, for developing this perfected compassion within one’s mind-stream. Ma Shé, Knowing the Mother: Recognizing that throughout our many lifetimes, each sentient being has at one time been our mother. We open ourselves to realizing our connection with each sentient being, whether human or nonhuman. Drin Dren, Remembering Their Kindness: Remembering and reflecting in detail about the kindness that you have received from other sentient beings throughout countless lifetimes. Drin du Zö, Returning the Kindness: Generating the feeling of wanting to repay the kindness of other sentient beings. Jampa, Love: Generating the feeling and wish that all other sentient beings experience happiness. 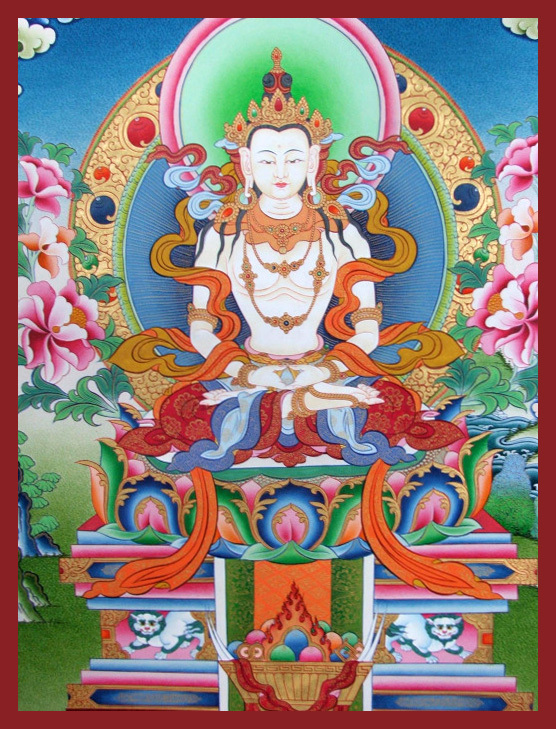 Nying Jé, Compassion: Generating the feeling and wish that all other sentient being be free from pain and suffering. Lhak Sam, Profound Altruistic Motivation: Without hesitation, acting on behalf of the welfare of other sentient beings from a motivation of wanting to remove their suffering. This action is ultimately engaging fully in spiritual practice in order to attain realization and the capacity to help other sentient beings. Jang Chub Sem, the Mind of Enlightenment: The fully perfected, impartial and unbounded mind of immeasurable compassion. Posted on December 11, 2015, in Uncategorized. Bookmark the permalink. Leave a comment.